Inward rectifier potassium currents (I Kir,x) belong to prominent ionic currents affecting both resting membrane voltage and action potential repolarization in cardiomyocytes. 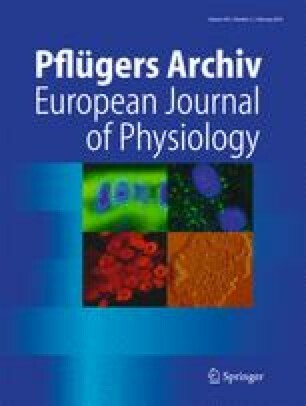 In existing integrative models of electrical activity of cardiac cells, they have been described as single current components. The proposed quantitative model complies with findings indicating that these channels are formed by various homomeric or heteromeric assemblies of channel subunits with specific functional properties. Each I Kir,x may be expressed as a total of independent currents via individual populations of identical channels, i.e., channels formed by the same combination of their subunits. Solution of the model equations simulated well recently observed unique manifestations of dual ethanol effect in rat ventricular and atrial cells. The model reflects reported occurrence of at least two binding sites for ethanol within I Kir,x channels related to slow allosteric conformation changes governing channel conductance and inducing current activation or inhibition. Our new model may considerably improve the existing models of cardiac cells by including the model equations proposed here in the particular case of the voltage-independent drug-channel interaction. Such improved integrative models may provide more precise and, thus, more physiologically relevant results. The authors wish to thank Prof. P. Bravený for reading the manuscript and valuable comments. This study was supported by Ministry of Health of the Czech Republic, grant nr. 16-30571A.